Liverpool have already proven they can handle any pressure that comes their way in the Premier League title race, insisted Jürgen Klopp. The Reds were held to a 1-1 draw by Leicester City at Anfield on Wednesday night, which meant their lead at the summit increased to five points, rather than the potential seven, before this weekend’s round of fixtures. Klopp warned there will be ‘nervous moments’ as his side attempt to preserve their advantage over Manchester City and Tottenham Hotspur in the remaining 14 games, with a trip to West Ham United next up on Monday. But the manager pointed to Liverpool’s journey to the Champions League final last term – and the demands of qualifying for the tournament in back-to-back campaigns – as evidence that the Reds can deal with the situation. “Our tool to sort the situation is football. Our tool is football. That is the only thing we can do,” said Klopp ahead of the meeting with West Ham. He continued: “Will there be nervous moments? Yes, for sure. Don’t make them bigger than they are because there were nervous situations last year, two years ago, three years ago. 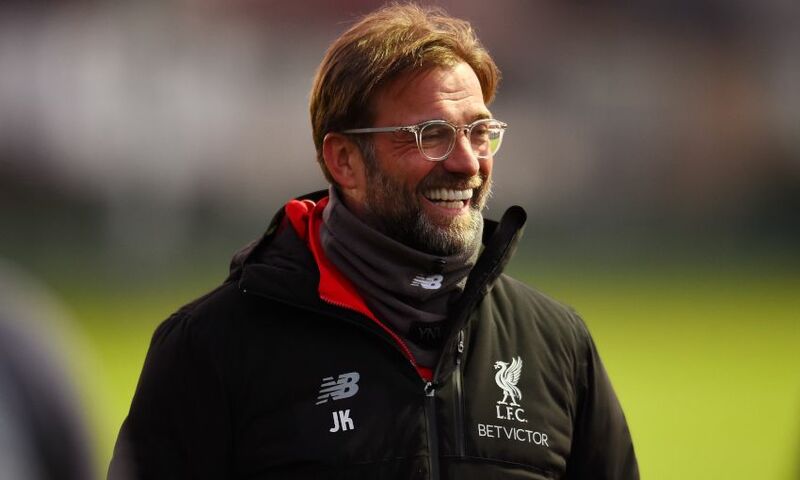 Klopp guided former club Borussia Dortmund to consecutive Bundesliga titles and explained why there is no reason to alter his approach to securing that success as Liverpool try to emulate it. “Is what happened with Dortmund a help? Yes, but obviously I was pretty skilled before I won that first one. I didn’t feel different when I won the title for the first time compared to winning the second time,” he said. “The only thing I always knew is do the right thing as often as possible, stay focused on your own way, don’t think about the other things around, and do it as much and do it as good as you can. “Then, if you are good enough, it will happen. If not, then it will not happen. That is pretty easy.